I didn’t manage too many knitted pressies this year, what with the finishing of Gary’s sweater and ongoing work on the Bellini (but on the last sleeve….). But this wee cutie, which featured in the first issue of the Debbie Bliss magazine went in with a parcel of foodie goodies for my friend Margaret. 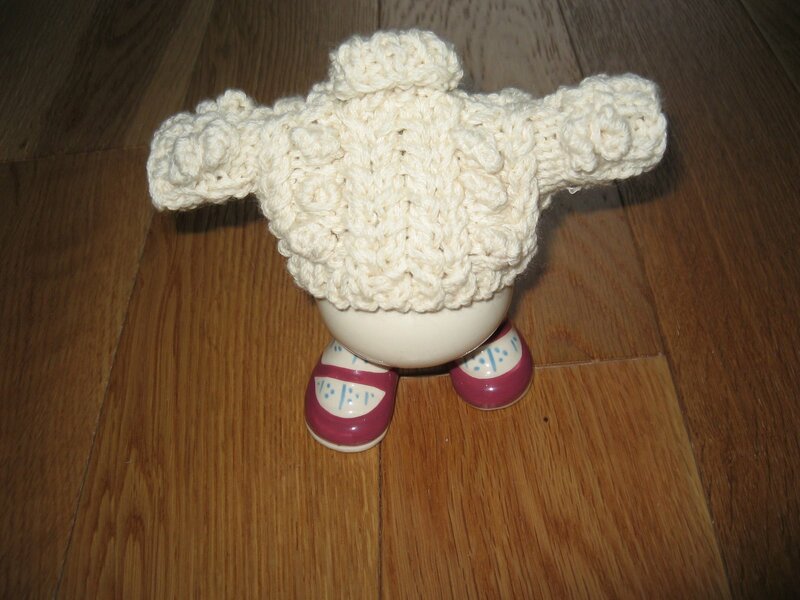 This entry was posted in Debbie Bliss, Debbie Bliss magazine, egg cosy by Alba Yarns. Bookmark the permalink.